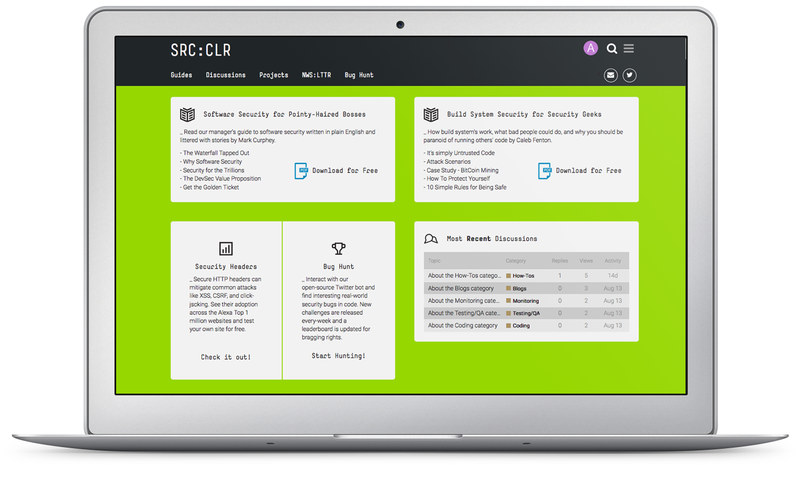 Source Clear helps users to secure their open-source code from hackers by creating a real-time inventory of your open-source components. SRC:CLR guys show where they came from, who created them, and what exactly they are doing in their application. They point out the vulnerabilities, that could be used by hackers to hazad applications and customer data, and provide clear guidance on how to fix those vulnerabilities. 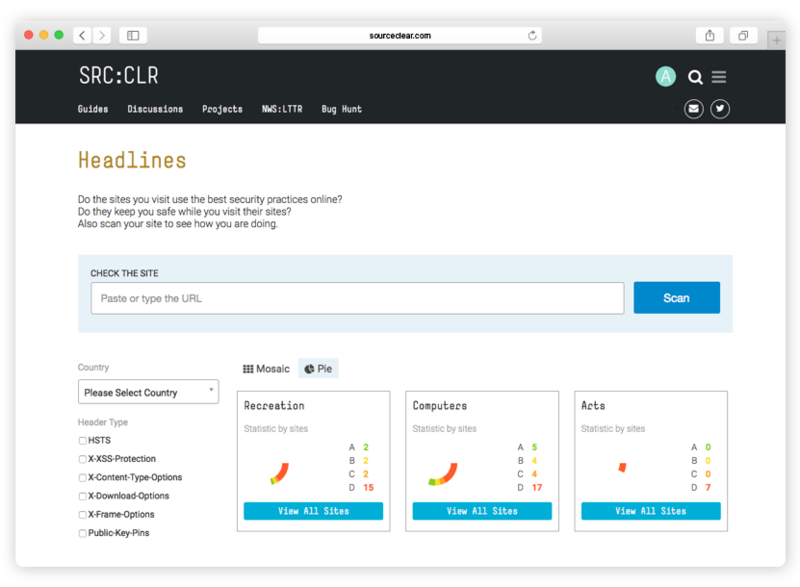 The company's data-science and machine learning platform digs into the depths of open-source vulnerabilities at scale and speed, discovering issues not yet disclosed to the public. They take care of the security for open-source code so that a person can focus on her/his business: shipping features and delighting users. Building the site we used Ruby on Rails for BE and Ember.js for FE. The biggest obstacle was to implement plug-ins for Alexa.com, which has TOP-1M domains, and Discourse for internal site's discussions. Open Core is the core code that powers community site. It is a plug-in to Discourse that provides a set of customizations and extensions. 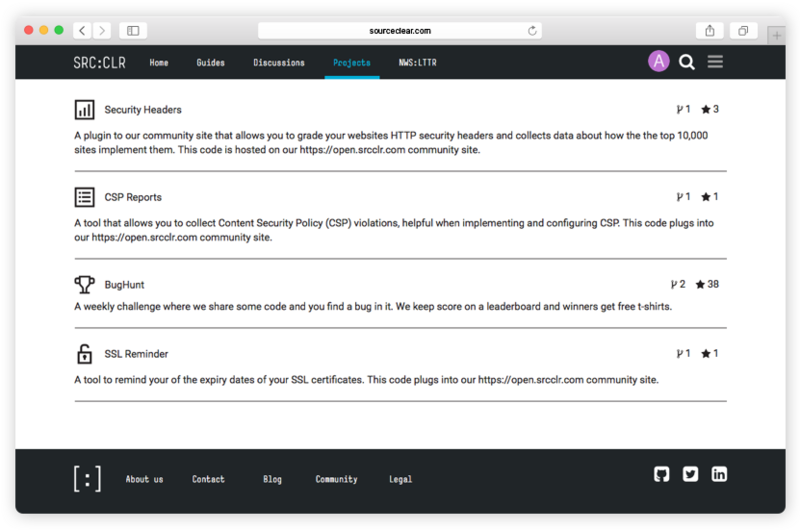 Security Headers is a plug-in for the community site. Security related HTTP headers can be used to prevent certain kinds of web-based attacks and provide an easy way for web developers to increase the security of their application. In addition, this plugin has also analyzed and graded Alexa as one of the top 1 million sites. You can browse the entire dataset online using different categories. It also supports basic filtering and slicing of data. The SSL Reminder tool allows you to set up reminders that will notify you of the upcoming expiration of SSL certificates on your domains. This will help you to renew them on time and avoid problems with the expired ceritificates. 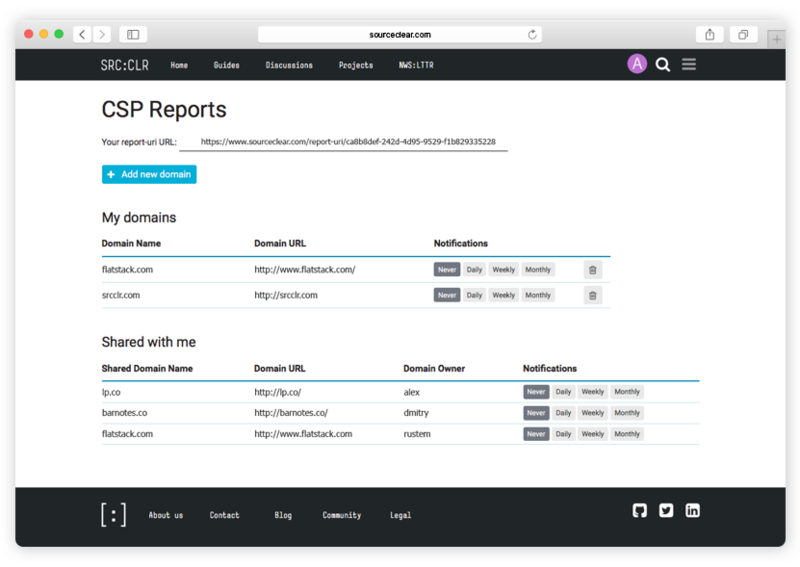 CSP Reports is the tool that allows you to collect Content Security Policy (CSP) violations. 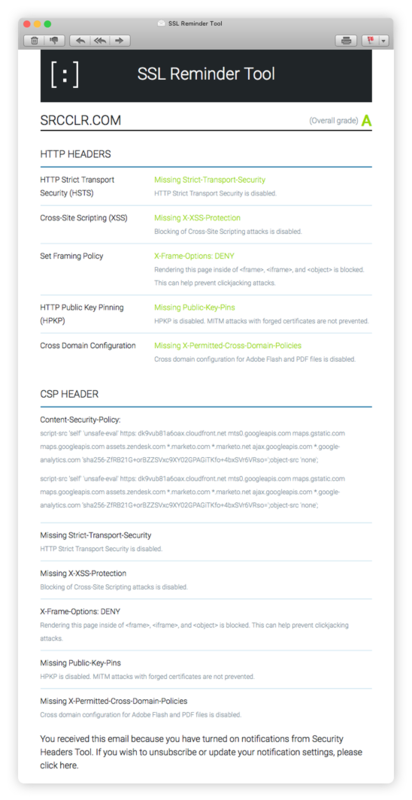 It is helpful for implementation and configuration of CSP. This code plugs into community site. 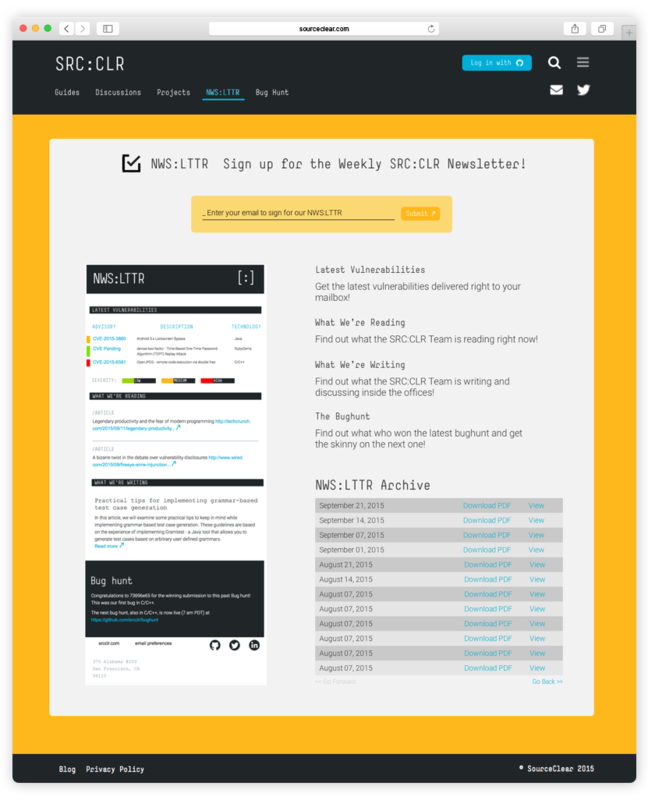 Weekly open source and security articles, projects, and news.